Change your Prestashop template easily and instantly. 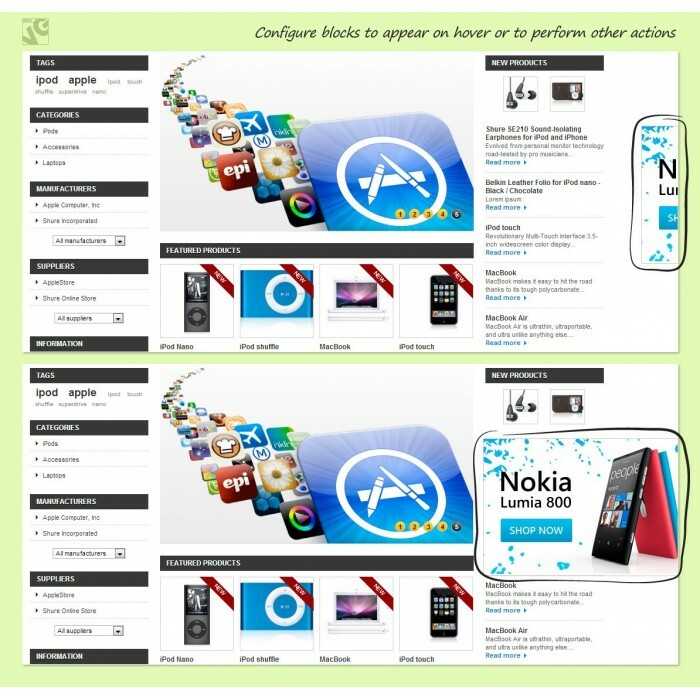 Insert fully customized static blocks in any place of any page of your store. Edit the blocks in the WYSIWYG editor. Create and add any content type your heart desires. Simple configuration and intuitive navigation allows developing, inserting and modifying blocks without special knowledge of front end development. Of all Prestashop features, static blocks are the most useful for your front end. BelVG Prestashop Static Blocks module helps you enhance your store and update it easily. Easy-to-use WYSIWYG editor allows creating any content including text, pictures, links, videos and other media. Limitations of how you can use these blocks are only imposed by the admin's imagination - discount banners and coupons, policies and store info, video advertising and much more. 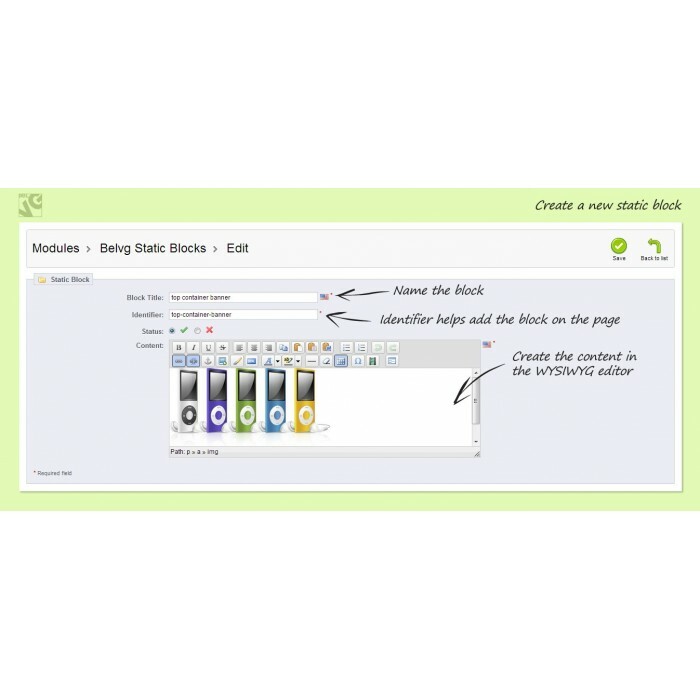 Manage blocks in the back-office – enable and disable, add new and edit the existing ones. Handling regularly updated content has never been easier!